When you register your contact information through our website that starts the process. We will contact you in short order to attain the property and client specifics. We generally focus on offering management services in the Northwest, North Central and Northeast areas of San Antonio but also evaluate each property on a case by case basis. If it is determined that the property is a good fit, we move forward with contacting the owner to deliver a sample management agreement, rental analysis and other data. Once we list the home for rent and when we find an acceptable tenant we will forward you a check for $500. It's that simple. To get started, register yourself on the form to the right and we can get started today. 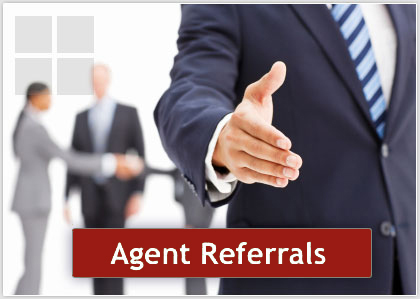 When you refer a client, we see ourselves as an extension of your team. During our time managing the property, we will keep in contact with you as the lease continues. 60 days prior to the end of the lease, we will contact you again as well to let you know the lease is expiring. We then will contact all parties to determine if the home is going to be leased for another year or if the time has come to sell. That way you are in the know and can begin working with your client for a successful marketing strategy. Just another way we focus on serving as part of your team to ensure that your client is happy!